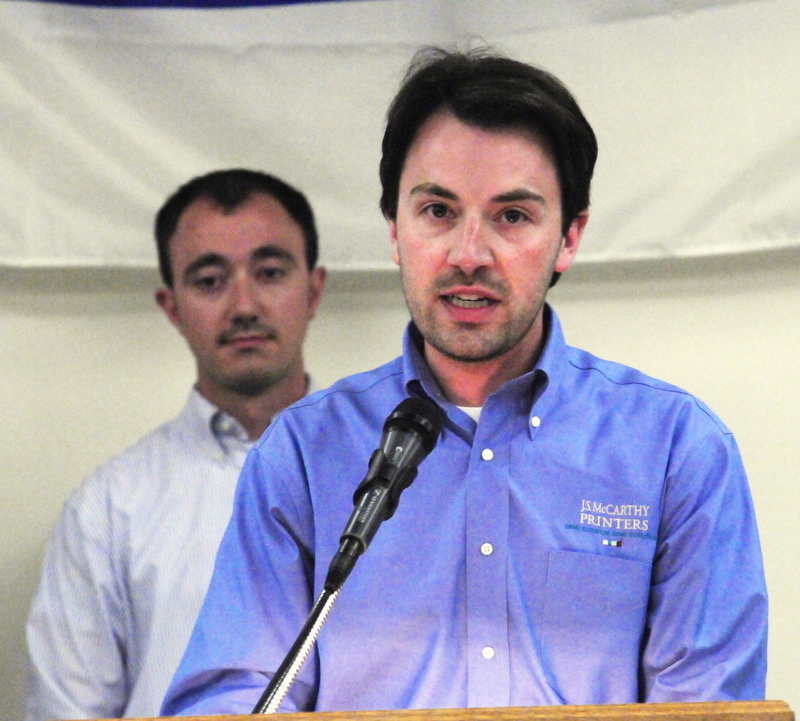 Heading up the fundraising campaign this year are twins Matthew and Michael Tardiff, 28, of the Augusta-based J. S. McCarthy Printers. 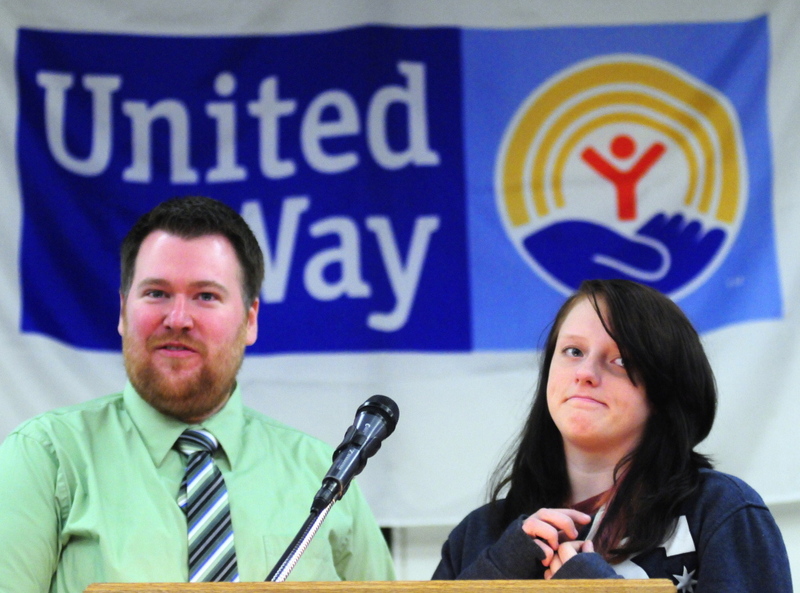 AUGUSTA — The Kennebec Valley United Way is more than halfway to its $1.5 million fundraising goal this year. The announcement came at a Pacesetter Breakfast Thursday at the Augusta Civic Center attended by some 280 people. 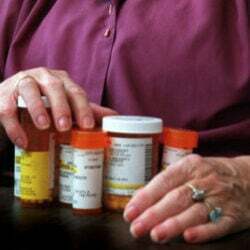 The campaign funds the organization’s 2015 budget and supports programs in 19 communities in the greater Augusta area. The event kicks off the campaign in the communities in general. The campaign ends in January. Chairing the fundraising campaign this year are twins Matthew and Michael Tardiff, 28, of the Augusta-based J. S. McCarthy Printers. Matthew, of Winthrop, is the company’s controller, and Michael, of Augusta, is the director of communications. “We’ve always been very involved,” Matthew Tardiff said, as the breakfast kicked off. 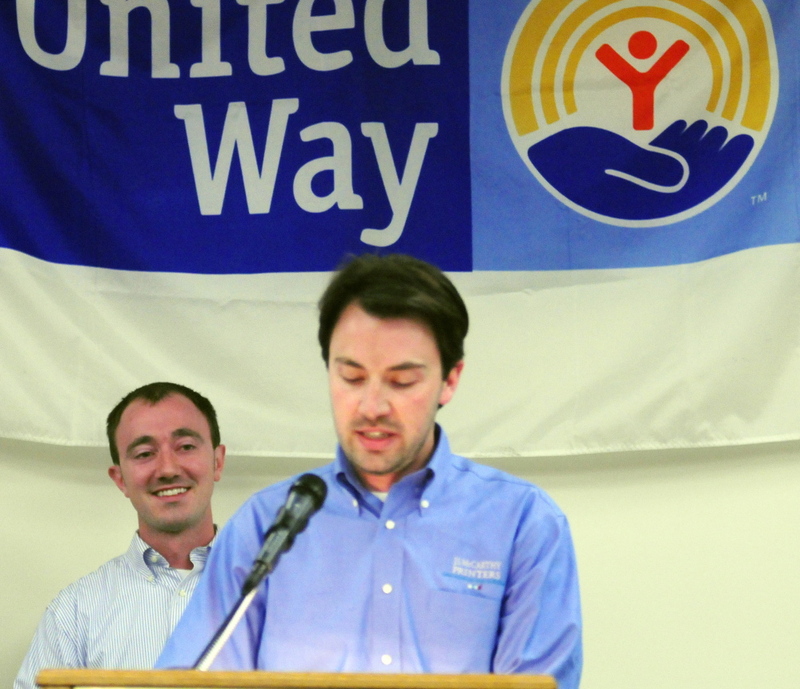 Michael Tardiff is on the United Way’s board of directors and Matthew serves on the agency’s allocations committee. The printing firm too has been generous with its money, announcing this year’s total donation of more than $56,000. Food insecurity and the work of the Augusta and Gardiner Boys & Girls Clubs were the focuses of a short video prepared for this year’s campaign. At the breakfast, representatives of the clubs thanked the donors in person. Lilly Perkins, a freshman at Cony High School in Augusta, said she finds the Augusta club is “some place I can go and be myself without being judged.” Without it, she said, she would probably spend most of her time at home in her room. With the club, she’s traveled to such locations as Boston and Funtown Splashtown USA in Saco. Julie Gallup, of Randolph, now a senior at the University of Southern Maine anticipating a degree in accounting, spoke about her first visit to the Gardiner club when she was in seventh grade and was adjusting to a new foster family and the area. “I found people who were accepting of me,” Gallup said. Gallup said scholarships made possible through the United Way of Kennebec Valley helped fund her membership. In ninth grade, she began working at the club and continues to do so. “It gives kids comfort and safety,” she said. Also honored at the breakfast were longtime donors and community supporters John and Charlene Bridge and Robert and Moira Fuller. The total raised so far by the 28 companies and organizations which form the Pacesetters is just under $798,000.